Axial Ventilation Fans available in Aluminium and Stainless Steel materials that precisely match your flow requirements. All parameters such as Airflow, Static Pressure, Power, Speed, Size, Noise and Efficiency can be met. 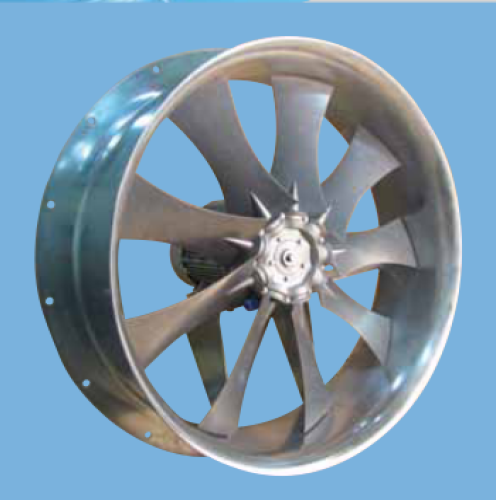 Established in the year 2012, In Shivane Pune ( Maharashtra, India) we, “Crystal Ventilations Private Limited", are the Manufacturer, Exporter, Trader of HVLS Fans, Axial Fan, Centrifugal Fan, Fire Protection System, Compression Fittings, Air Conditioning System that are made available in a varied range of specifications, to meet the diversified requirements of our valuable customers. We are extremely concerned with the quality of the proffered assemblage and this is the reason, we use premium quality raw materials for the manufacturing operation. At our company, we have established a state-of-the-art infrastructure facility that is equipped with basic amenities and machines that are based on modern & advanced technology in the market. Moreover, we have recruited a team of experienced and skilled professionals, who are well trained to understand the varied requirements of our reputed customers. In past decades, we have garnered an unmatched position in the business and wish to garner multiple clients in the future too. We involve in ethical business dealings only. Under the able leadership of our Director, 'Jaideep Nagarkar', we have been able to establish our stand-alone position in the market. His rich industry experience, continuous motivation, and sound business understanding have enabled our organization to gain a phenomenal success in this competitive market.